As promised I’m talking about the alleged all in one face product. So far I’ve noticed that they are generally reasonably priced. 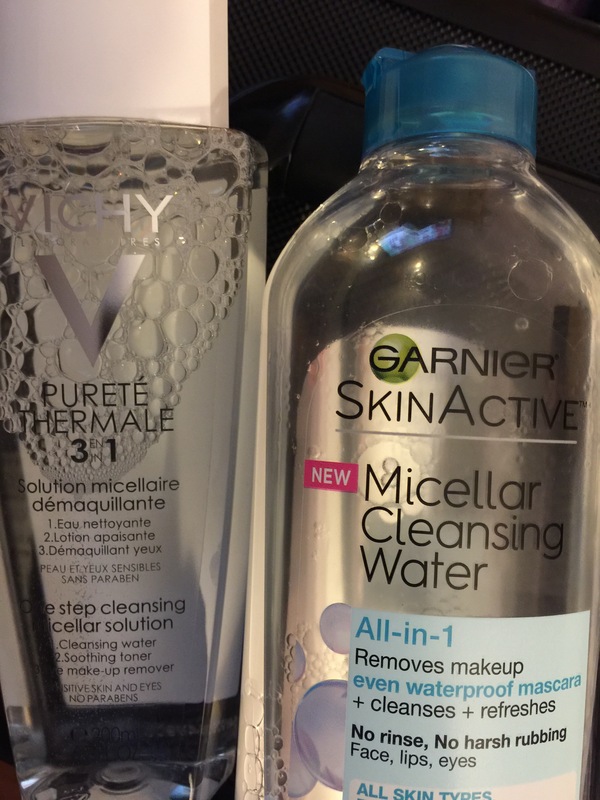 Today I am able to report on the Garnier Micellar Cleansing Water Waterproof and Vichy Purete Thermale. I began with the Garnier and honestly it does a good job with a few easy swipes of an oval pad to remove my makeup. Truth be told I wear A LOT because I love the flexibility of different looks. I must say it even removed a stubborn matte liquid lipstick and I mean STUBBORN. I have no greasy/oily residue after using this formula even though it is designed to remove waterproof makeup. Since I am prone to inflammation I am always compelled to do more cleansing. If I must confess I would use this on a lazy late night and skip my extra wash. Since this is considered a drugstore brand it can surely hold hits own. If I had to choose now I would say this product is ENDORSED! Now on to the Vichy product. I tried this a few times this weekend to remove makeup and tonight before I put on my sheet mask. I really like the ease of this cleansing water. It’s barely any work cleaning my face. My face felt really clean but because I am also on the dryer side during the change of seasons I immediately followed up with my night cream. I was skeptical of this would work or was I drawn to the name and packaging. It definitely works, no gimmicks here. This product is also ENDORSED! Still to come are the industry leader Bioderma, La Roche Posay and Model Co. Bioderma should be delivered this week. I will be sure to weigh in on it because I am headed to a trade show and will need a quick way to remove looks between vendors without drying out my skin. This will be a great opportunity for me to drag this product along. In case you can’t tell I LIVE for these moments.